Learning to forgive someone, especially when they aren't sorry, can be one of the hardest things in the world. I know it is for me. As we go through life, we are wronged by so many people in so many ways. Some of those people are people we have trusted and loved. Some of the wrongs are slight, while others are major. No matter the relationship of the person, or the degree of the slight, how do we learn to forgive them when they just don't feel sorry for what they have done, and when we want to hold on to the hurt. Doing it for ourselves is the most important part of the forgiveness process. Because who we are hurting is us, not them. When someone tells me I "HAVE" to forgive them, I immediately get my back up and don't want to do it. I am a bit stubborn that way. What I have learned to realize is that no, I don't have to, instead I can choose to. I can choose to love myself enough to let it go. That is what I am working on right now. I am working on being kind to myself through forgiveness of others. How about you? 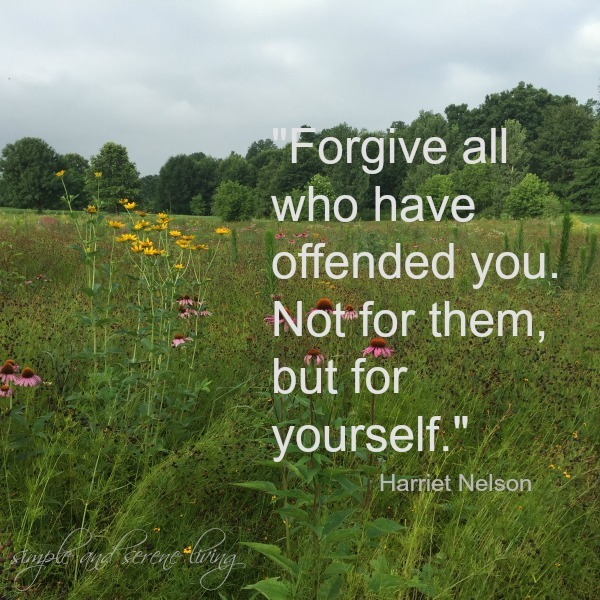 Do you have a hard time forgiving? I use to have trouble forgiving wrongs, but I learned that it hurt me more then it hurt anyone else. Forgiveness really is for yourself. I am able to let go of hurts a lot better, it can still be a challenge though. Prayer helps me. I think it is always a challenge, Linda, but the more we are able to let go the better off we are. Someone hurt me very badly years ago. She was not content to hurt me the one time, but repeatedly kept hurting me. She took great pleasure from the tears I shed. This person was my late mother-in-law. A few years ago she was the focus of a guardianship battle between my sister-in-laws and one brother-in-law. The didn't care about her, but they cared about her money. I felt sorry for my mil, the woman who while she was still cognizant, did her best to try to destroy my marriage to her son and to alienate me from the rest of the family. My mil died alone and lonely. I took no pleasure from this. What I did learn however, was not to let a mean spirited person hurt me ever again. I forgave her, but never forgot. It's not easy, but Harriet Nelson was correct. Do it for yourself, not for them. I am so sorry to hear that you were hurt so much by her, Susan. I will never understand what drives some people to be so mean spirited and I am happy that you have moved past it and have learned not to allow it to happen with anyone else. Like Linda, I once had trouble forgiving. But now, I let it go. It's the only healthy thing to do. Great post! Thanks, Brenda. Letting go is absolutely the only healthy thing to do. I found that when I truly forgave someone who was very wrong...it freed me and I could move on. It's a great feeling, Linda. 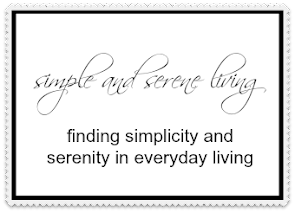 It's not an easy thing for me to do, but I am working on it, as well. Good for you, Kim. Being aware of it and working on it means you are well on your way. It takes me a while to stop hurting and forgive. Once I do it is full and complete. I even wonder how they are at times. I have learned to never go back to that place where they will hurt me again. They seem to get great joy from it and I do not understand. I don't have to understand I just have to keep my distance. I don't understand why some people get so much joy from it either, Rita but I think it comes form overcompensating for their own insecurities. Yes, this is a tough one for me. I know that it says in the bible that you're supposed to forgive, but it is very hard! I hold grudges. I think what I try to do is just forget! Ha Ha. That's a little easier than forgive. 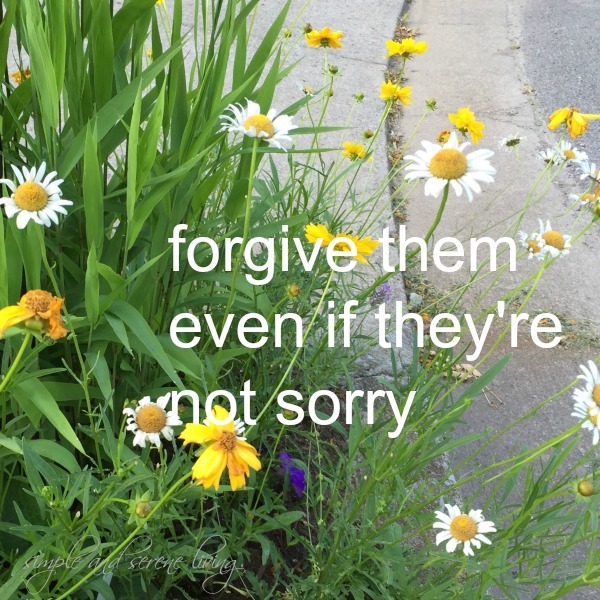 To me, forgiving feels more like accepting what they did and if it was very wrong and uncalled for with no apology from that person, then i just can't forgive them. I choose to put them out of my mind and move on that way instead. Many times, it's a relative, so you can't put them out of your mind, so in that case, I try to not dwell on what they did wrong and instead hold my head high that I won't be doing that same thing to someone else! Forgiveness helps us more than holding on to anger anyday! Its hard though but so worth it! Have a great day! It is very worth it, Cathy.